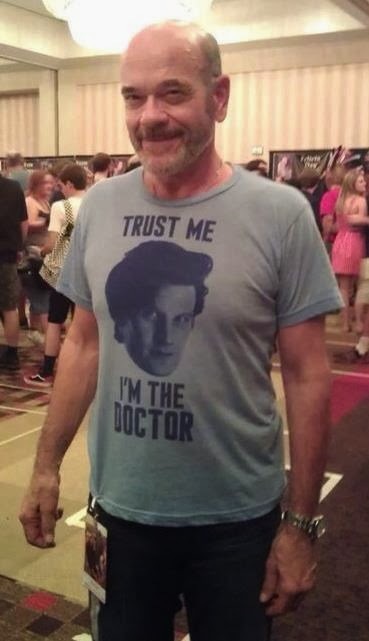 They say you never forget your first doctor. Well, Whovians (Doctor Who Fans) say that. I guess that's who "they" are. Anyway, my first Doctor was Tom Baker--the eccentric, scarf-clad, fourth (and probably most famous) doctor. PBS used to air a lot of his episodes late at night when I was a kid and I watched them with my dad. Then, when the TV movie aired, we watched that as well. And then I went back to my Star Trek and didn't think much more about it. In the very beginning, we get an homage to another show featuring a nameless doctor. Cass' ship requests, "Please state the nature of your injury or ailment." Nicely done, DW. Nicely done.